Wilder Denholm is a premier national client advisor with the Matthews™ industrial division. Wilder and his team specialize in advisory consulting on the disposition and acquisition of industrial properties nationwide. He leverages his relationships with private investors, developers, institutions, and 1031 exchange buyers to better position his client’s investment strategies. 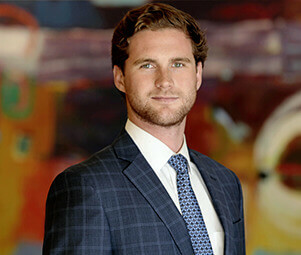 Wilder’s in-depth knowledge of the market combined with his expertise in underwriting and marketing has provided value to his clients and helped close a variety of transactions.